International flights arrive in the afternoon or evening. Everyone gathers at the Hotel Aeropuerto, a 5-minute taxi ride from the international airport, where they are met by the tour leader. Night in Alajuela. Depart early and drive down the Pacific slope to the lowlands to meet up with a local guide near Orotina. The local guide has stakeouts for the normally secretive Lesser Groun-Cuckoo, which he can lure into the open for nice photographs. He also usually has stakeouts for roosting Barn Owl, Spectacled Owl, Ferruginous Pygmy-Owl, and Black-and-white Owl, allowing for photography during daylight. Early afternoon take a boat tour on the Tarcoles River, where American Crocodile and birds such as Fasciated Tiger-Heron, Common Black-Hawk, and Amazon Kingfisher, Double-striped Thick-knee offer photo opportunities. Later in the afternoon back at the lodge Scarlet Macaws usually appear at feeders behind the dining room where they are easily photographed. In addition, White-headed Capuchin Monkeys and other birds such as Hoffmann's Woodpecker, Clay-colored Thrush, Buff-throated Saltator, Red-legged Honeycreeper, and Summer Tanager are typically present as well. Night at Cerro Lodge. 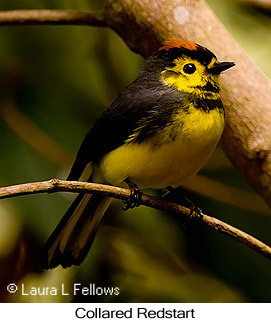 Morning will be spent walking an easy trail in Carara National Park, offering opportunities to photograph a wide variety of forest birds including antbirds, flycatchers, and tanagers. Depart the lodge in late morning and transfer to the valley of San Gerardo de Dota in the Talamance Mountains, stopping at a restaurant en route for lunch. It's worth driving up Cerro de la Muerte to the radio antennas to photograph Volcano Junco and perhaps some other high elevation birds found there. 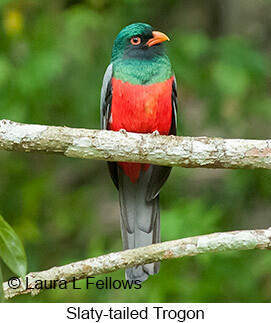 After arrival and check-in at the lodge, spend some time photographing birds near the lodge property before dinner. The lodge itself offers superb accommodations and cuisine. Night at Savegre Mountain Hotel. San Gerardo de Dota is the best place to see and photograph Resplendent Quetzals. Sometimes quetzals can be found near the lodge or the road through the valley, though at other times they may be more distant or harder to photograph. For this reason, the following day is reserved for seeing and photographing quetzals from closer range. The focus on day 4 is mainly other highland birds. The two main sites near the lodge are the highlands, reached by 4x4 vehicle that takes guests up the mountain so they can walk a forest trail down, and the river trail farther down the road from the lodge entrance. Some of the possible highland birds that can be photographed are Black-faced Solitaire, Black-billed Nightingale-Thrush, Long-tailed Silky-flycatcher, Flame-throated Warbler, Collared Redstart, Spangle-cheeked Tanager, Silver-throated Tanager, Yellow-thighed Finch, and Flame-colored Tanager. Certainly part of the day will be spent at the hummingbird gallery across the road from the lodge. Hummingbirds typically present are Green-crowned Brilliant, Magnificent Hummingbird, Volcano Hummingbird, and Scintillant Hummingbird. In addition. 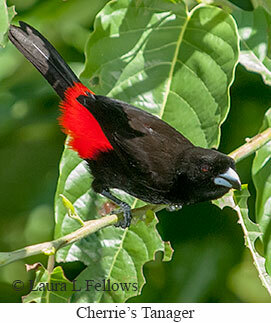 nice photographs of Slaty Flowerpiercer feeding among the flowers are usually possible. Night at Savegre Mountain Lodge. Early morning depart for Paraiso Quetzales, located higher up along the Pan American Highway above San Gerardo de Dota. This lodge has made arrangements with several nearby farmers to see and photograph Resplendent Quetzals on their private property. Everyone meets at the lodge very early in the morning and wait for a call from one of the land owners. When the call comes in, guests are taken to the local farm where they have excellent chances to see and photograph quetzals at quite close quarters. Normally. two hours are allocated for this activity, but special arrangements can be made to spend longer if desired to photograph the quetzals at additional expense (not included in our tour price). After returning to Paraiso Quetzales for breakfast, everyone will have a chance to photograph the spectacular Fiery-throated Hummingbird which visits feeders at the lodge. From there the group will transfer to the Caribbean slope, with a stop at El Tapir Nature Reserve en route to photograph additional hummingbirds that visit the flowers there. Two prime attractions are the prized Snowcap and Black-crested Coquette. Other possible hummingbirds include Green Thorntail, Violet-headed Hummingbird, and Violet-crowned Woodnymph. After arrival and check-in at the lodge, the remainder of the afternoon will be spent in the Puerto Viejo area. 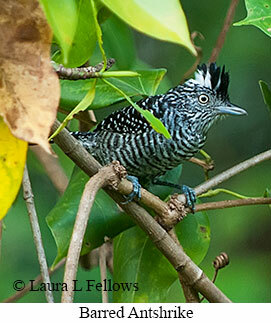 One likely site is at Selva Verde, where Sunbitterns are sometimes present along the Sarapiqui River near the dining area. Night at Selva Verde Lodge or La Quinta Inn. A morning is set aside to visit a site near Puerto Viejo where the owner's property support a nesting site for the Great Green Macaw. The likely site is Posada Andrea Cristsina, a B&B involved in the project to save this highly endangered species. A number of macaws have been habituated and perch where they can be easily photographed. The afternoon will be spent at David and David's Nature Pavilion, formerly called Sarapiqui Eco-Observatory. David and David's is a prime location for bird photography. Natural perches near fruit feeders provide endless opportunities to photograph birds such as Collared Aracari, Black-cheeked Woodpecker, Crimson-collared Tanager, Blue-gray Tanager, Golden-hooded Tanager, Green Honeycreeper, and Buff-throated Saltator. Hummingbird feeders offer good opportunities to photograph Purple-crowned Fairy, Green-breasted Mango, Bronze-tailed Plumeleteer, and Crowned Woodnymph. In coming years the owners hope Great Green Macaws will begin feeding on the property as their trees get bigger. Night at Selva Verde Lodge or La Quinta Inn. Morning visit a local guide near Guapiles who can lure out the very secretive Thicket Antpitta for good viewing and photos. He also has a site for roosting Crested Owl and good locales for some other interesting birds such as Great Potoo, Cinnamon Woodpecker, and Pale-billed Woodpecker. After a couple hours with him, return to the lodge for checkout. Then transfer to Arenal National Park near Fortuna with a stop en route at La Paz Waterfall Gardens. 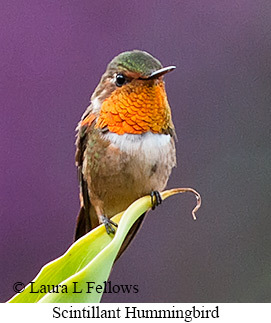 The hummingbird feeders at La Paz attract at various times 26 species of hummingbirds including Green-fronted Lancebill, Green Thorntail, Magenta-throated Woodstar, Black-bellied Hummingbird, Coppery-headed Emerald, and Cinnamon Hummingbird. Then continue to Lake Arenal, arriving before dinner. Night at Arenal Observatory Lodge. Morning will be spent visiting a private reserve where the owner has a small pond that lures the rare White-throated Crake and Uniform Crake along with the much more easily found Gray-cowleed Wood-Rail into the open for excellent photo ops. Then return to the lodge for some photography along forest trails or in the extensive flower gardens that attract hummingbirds such as White-necked Jacobin and Rufous-tailed Hummingbird. Mid-afternoon transfer back to Alajuela, arriving before dark. Night at Hotel Aeropuerto.